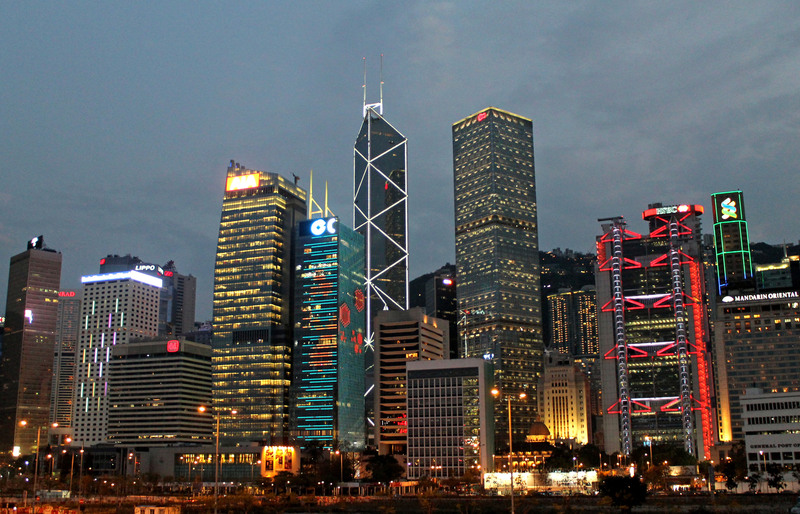 Hong Kong is one of the most vibrant cities in China and probably the most expensive too. 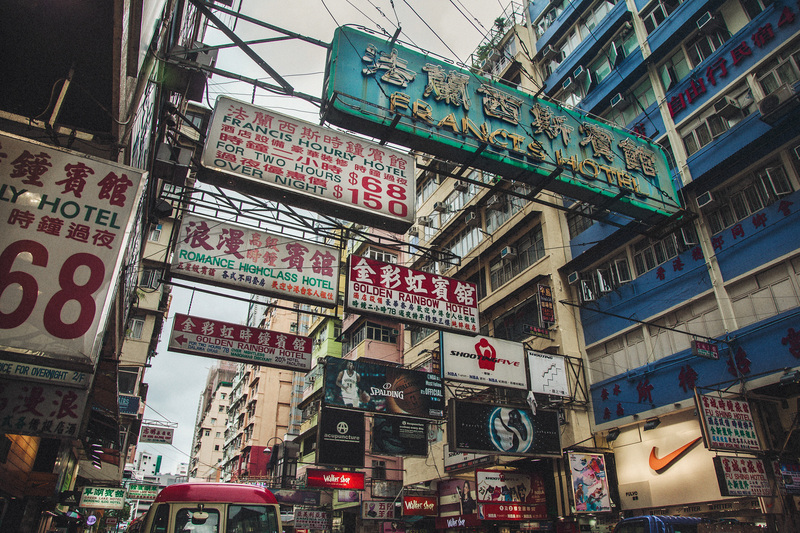 It has a lot of what is authentic in this country: high-rise housing, neon signs and crowds. Its endless skyline may remind you of Shanghai, another inspiring city you should visit if you love architecture. Wether you love photography, sketching or just a pretty view to delight your eyes, these places will take your breath away. It’s not surprising that many of these spots have been instagrammed a million times. This is a list of my top places to bring your camera (and sketchbook). My favorite is #8, yours? 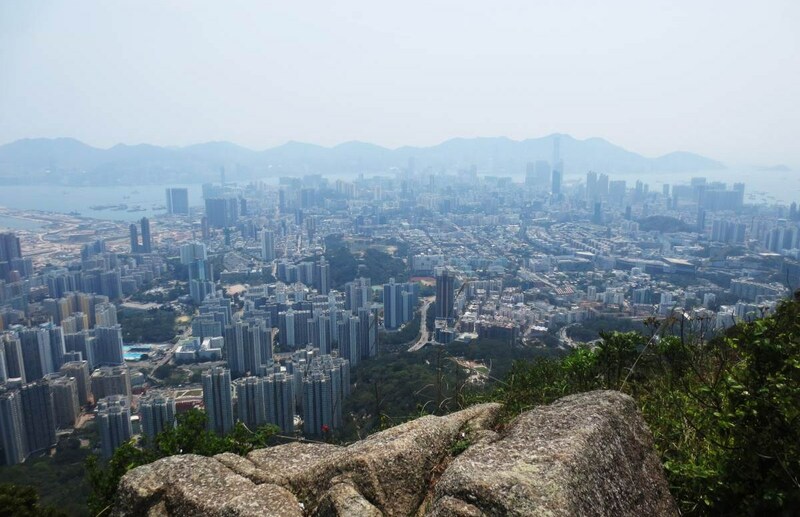 Description: The are several observation points around Victoria Peak being this my favorite. 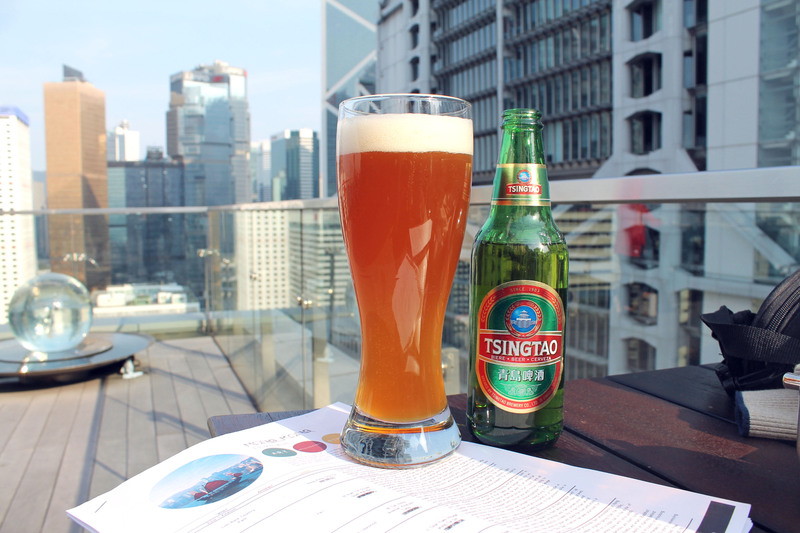 It’s free and it has uninterrupted views of Hong Kong’s skyline, plus you can have a drink at the rooftop afterwards. Make sure you get the tram as a taxi here can be very expensive and walking is impossible due to the curvy roads. Description: The ferry, used by locals on a daily basis, connects Kowloon with Central Hong Kong. The best time to visit is at sunset just at the time of the light show. 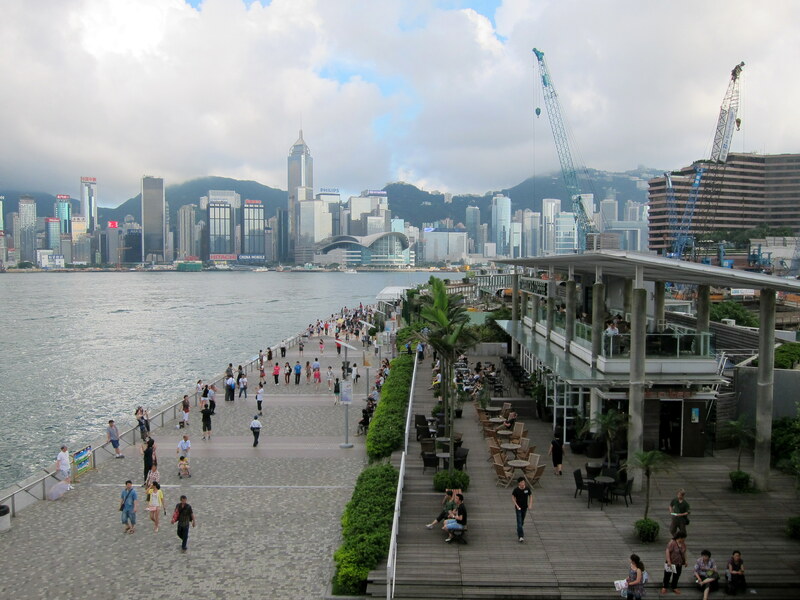 Therefore, you might want to pick the trip from Central HK to Kowloon and enjoy the show from the back part of the ferry. Description: If you are not a boat person, this promenade offers stunning views of Central Hong Kong from a similar perspective as the ferry. It’s so popular among locals and travelers, that during sunset and sunrise hours it will be packed to the point of not being able to walk. The views are worth it though. 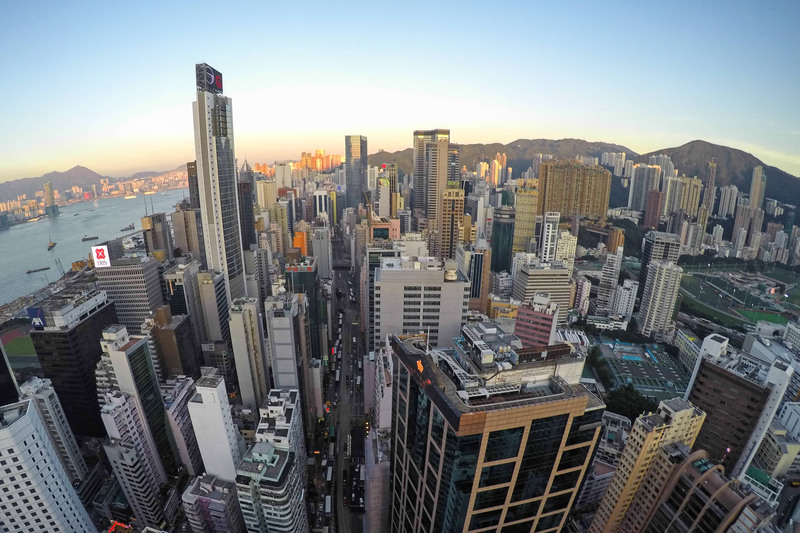 Description: Northern Hong Kong lacks the signature skyscrapers from the island, making it more authentic. Any corner can potentially be an original shot of what this city is made of: high-rise housing, neon signs and crowds. Hotels in this area have impressive views from its top floors. For example, I took this picture at Cordis Hotel. Description: Take the train until Tung Chung and you’ll soon reach the Cable Car office. 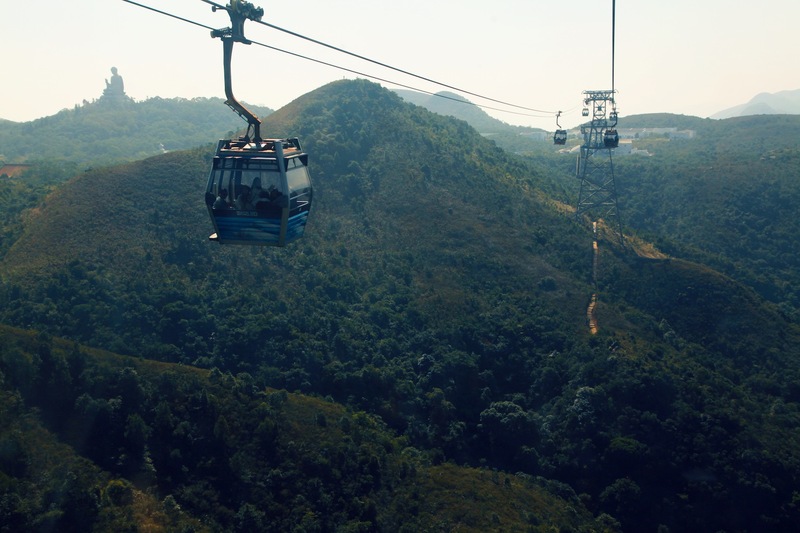 The ride is about 25 minutes and you’ll have plenty of time to enjoy this natural skyline which finishes at the wonderful Tian Tan Buddha. It’s heavily packed during the weekends so I would recommend visiting any other day. Description: One of the most beautiful hikes of the surrounding area but not the easiest. A bus will help you go further but in order to reach the top you must be quite fit. The views, however, will pay off. Best time to visit is early in the morning when no one is still there and the night fog is slowly disappearing. More information here. Opening hours: Daily 3pm till late. Description: Wooloomooloo is famous for its restaurant, one of the best steakhouses in town. However, the interesting part is one floor above: on the magnificent rooftop. As you can imagine, it’s expensive so a drink should pay for uninterrupted views with no glass in between. I visited before the opening time and only the restaurant was open (it had windows) but they were very nice allowing me to take a couple of pictures in the rooftop before anyone got in. Description: This highly dense residential area consisting of 3 tower blocks and an internal courtyard is the essence of this city. 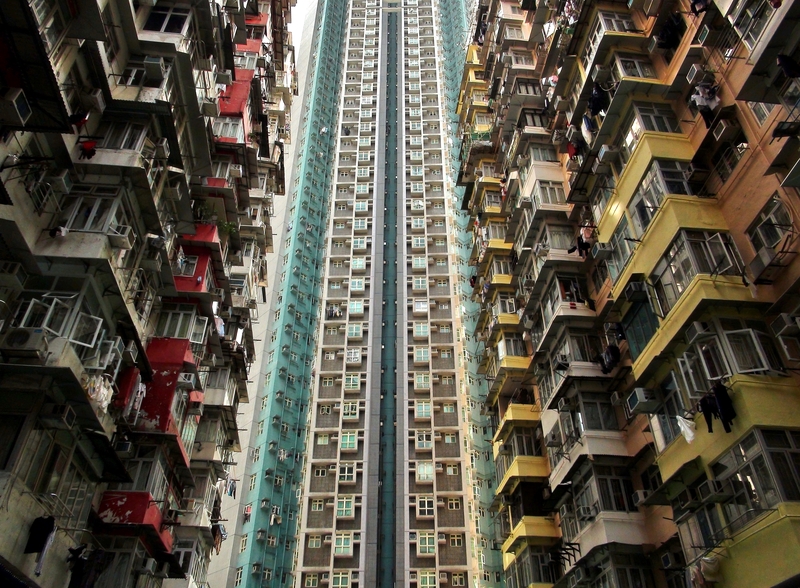 Hong Kong’s Yick Fat Building is iconic, having been featured in dozens of movies and TV programs. Even better? It’s extremely easy to visit. The courtyard is open so you just have to walk in. If you visit at night, you may need to bring a tripod since there isn’t much light. Description: Built in 2010, the ICC is the tallest building in Hong Kong and located on the 102 floor, it has the tallest restaurant in the world. 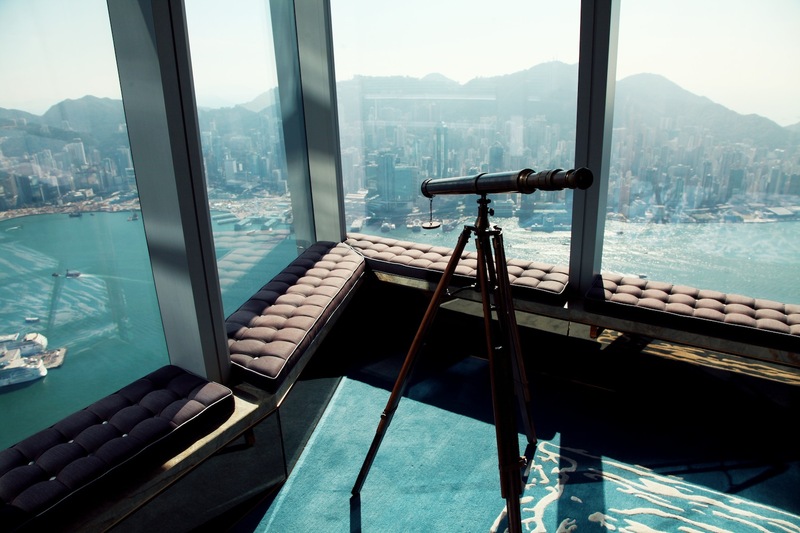 If you can afford it, have an afternoon tea (HK$378 for 1 person) while you enjoy the sickest views in HK. If you want to pay less, the observation deck located on the 100 floor is great too. 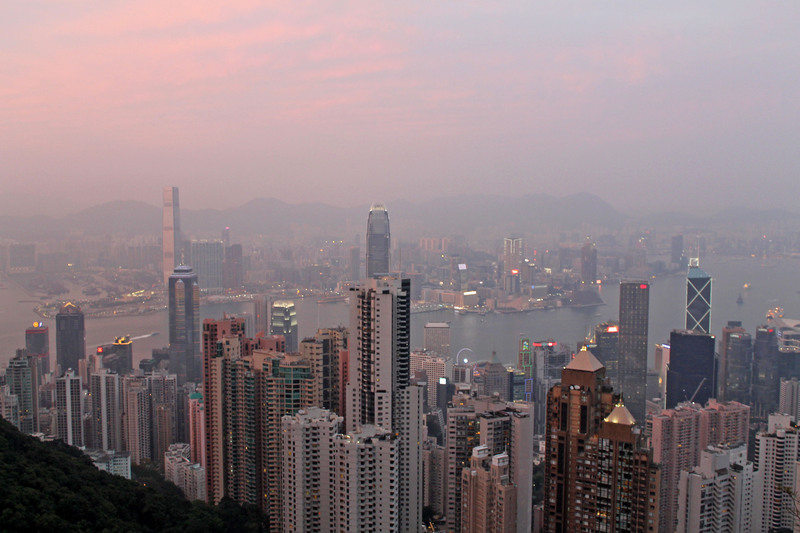 Tags: Architecture, Asia, China, Hong Kong, Life Well Traveled, Photography, skyline, Travel, wanderlust. Bookmark the permalink. Still on the road 🙂 How did you find HK? It was insanely expensive in my opinion. I wished I stayed more time with locals so I could better understand the city. Victoria’s Peak it’s one of a kind, did you go there at sunset too? Maybe #9 and #10 can be left for your next visit? The next time that I visit with my husband those two will be on the list 🙂 It was part of a junket (sponsored trip) during my days of journalism so I did not have to bear expenses. Even then I came back home with hiccups when I shelled out a bit. I spent a late noon and sunset in the Peak area and met a local there who I suspect was going out with his daughter’s friend. He even bought a few of us drinks! Needless to say it was quite interesting 😉 But my favourite bit in Hong Kong was meeting pandas. They have got more of the cuteness overload factor to them than humans. This is all so interesting, it looks like an amazing experience. How was meeting pandas? where did it happen? Which would you say it was your favorite part of the city? I would say Lantau Island and the flea markets. We did this night tour on one occasiom and I had the time of life. The pandas were in Ocean Park where they had these crazy rides too and I went a little ballistic going on them like a lone nutter 😉 There were two pandas – An An and Jia Jia. An An was the male panda, who sat like a king squat in front of us, and ignored us completely as he chomped on his bamboo shoots. Jia Jia was the shy female and she skulked behind a large boulder showing us her cute face only once or twice. Unfortunately Jia Jia died recently. I am sad to read this, it looked like a precious memory. Next time I visit I will give it a try, it sounds too good. Did you spend much time there? Boy those flea markets were tempting. Ocean Park is not a bad idea because it is a chance to meet pandas. I mean if I could I would adopt one 🙂 I spent a week in Hong Kong. You too, Virginia. I have this to add that I watched a video of baby pandas recently and I fainted with the cuteness overload. Cheers. Thanks! Any favorites on the list? Hey it’s superb article. Reminding me of my trip. #5 and #10 are my favourites on the list. But #10 I will surely add in my next trip. Hello Preeti, thanks for your kind words. Definitely among my favorites too. Did ou visit a long time ago? Ya. A pretty long time, in 2009. But soon m planning to visit. And most important is your article inspired me to visit it soon. Ohh these are good news then! I visited last spring but I imagine summer would be even more amazing. Planning to visit this year? I always love to take out some moments and read your travel diary. Keep inspire me by your travel stories. And being an architect I always find it more interesting. Another place I absolutely loved. I’ve been to about the first five or six of your locations. I agree. The first night I arrived I walked down Nathan Road from my hotel and was blown away when I got to the waterside and saw everything lit up. Truly awesome. Hong Kong is amazing in so many levels! I think that skyline is hard to beat, isn’t it? Have you been there many time? I visited only once. Just once. Gorgeous weather for the whole 10 days. Did you go up Lantau Peak. Next to the Big Buddha. Fantastic views.